How exciting is this guys ? 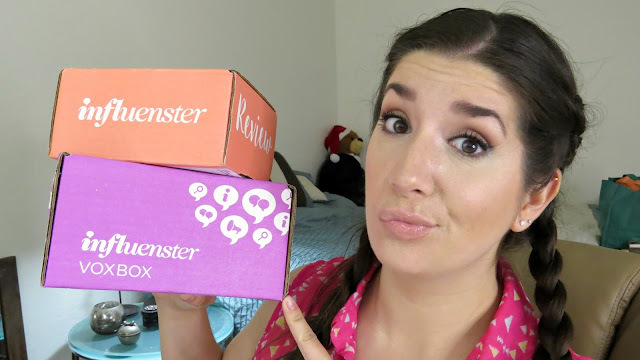 Today's post/video has double the fun with TWO Influenster unboxings. The Treat VoxBox and the Bloom VoxBox. Scroll down to below the video to see a list of the products that came in each box. Also be sure to comment below and let me know if you have ever tried any of these products out before! Have you signed up for Influenster yet ?? It is FREE and anyone can get these boxes !! This is my referral code. I'm not exactly sure what referring does but hey, maybe it helps me qualify for more of these boxes? I appreciate you using it. ALSO if you are interested in testing out more free products check out -----> How to Become a Free Product Tester ! I can't say that I am overly impressed with either of the boxes contents. The Bloom box definitely has more products in it that I am excited to try out. I wish the Treat box had well, more treats in it!